Iontophoresis is one of the several treatment options for Hyperhidrosis, and especially useful for Palmar hyperhidrosis. If you want to learn more about this treatment option, read this, this or this. Essentially, this treatment involves transmitting a very mild current through the affected area (hands, feet or face) and is administered using specialized devices called Iontophoresis Machine/Device. 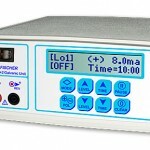 The question I receive often on emails is my advise on which iontophoresis machine to buy. The answer to that depends on several factors including your location, whether or not insurance covers it, your budget and other criterion. This article provides a high level view of most popular iontophoresis machines available in market, their key features and prices. This is based on my understanding as of date and while I have made every possible effort to be objective and comprehensive in coverage, I do not make any claims of the following covering all the available options in the market (or being the best options in the market). In short, tap water Iontophoresis is essentially a treatment where a low voltage current passes through thetap water, and then through the affected part of the body (e.g. hands, feet, face, underarm etc.). 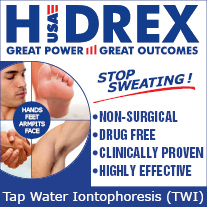 The exact mechanics of how iontophoresis works for treating hyperhidrosis, but its believed that the current passing through the affected part causes temporary irritation to the sweat glands and nervous system – thus causing less sweat production temporarily. Iontophoresis machines are special medical devices used to administer iontophoresis treatment. WIth some training, its easy to self-administer iontophoresis treatments using one of such machines. I really suggest to read about iontophoresis in more details here. This post provides a much more detailed understanding of what iontophoresis is, and how it works. 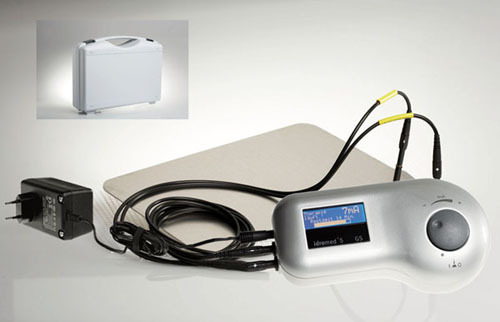 Most of these iontophoresis machines have similar components – a control unit to control the current, time etc, a pair of electrodes to dip hand/feet into, and a set of cables to connect to the current source and to the control unit. However, the appearance can fool as beneath the hood, are several important features that you should consider while deciding which of these machines will be suitable for your specific purposes. The next section provides a high level overview of the key features for each of these. The following table gives an overview of the top iontophoresis machines in the market. I hope this is useful for anyone considering to buy an iontophoresis machine as I have not yet seen a summary similar to this at any other online resource. Essentially, the most essential features that you should consider while selecting an iontophoresis device are – the type of current provided, the power source and the price (of-course). Then there are some features which are device specific. 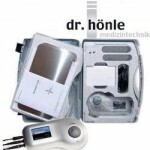 You can check out the reviews for some of these iontophoresis machines for more details. As you see, there are more than enough options to buy iontophoresis machine to treat your hyperhidrosis condition. As I said earlier, there are several criterion you need to consider (and you can see those here), here is my advice in a nut shell. If you live in Europe or if you don't have an insurance , your best bet is Idromed 5 PS. Again its a great device with very good reviews, can be shipped worldwide, and comes with a money back guarantee for 60 days. If budget is an issue, you can always build your own iontophoresis device. However, as I mentioned in another post, this option has mixed results and its definitely not as convenient as having a specialized device. Though its definitely an option. Also check out the iontophoresis device recommender to identify the iontophoresis machine best suited to your specific situation. Did I miss an iontophoresis device in the above list? Please do let me know. While I tried to cover the top iontophoresis machines in the table above, I am sure I missed a few. Please leave a comment if you think any other iontophoresis device should have made this list, or send me an email. Ideally, I will want to build a list of all available options so that hyperhidrosis patients can take an informed decision about which iontophoresis machine to buy. 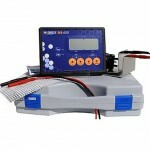 Next Step: Check out the guide to buying an iontophoresis machine . 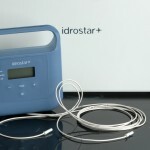 Hi, I have had incredible results from using the Idromed and the Hidrex iontophoresis machines. I use only tap water (ne medication), and use the device for 15 minutes, every 18 days. It keeps my hands and feet very dry (about 95% dry). Too bad that PC iontophoresis seems to be a lot more expensive than DC one. I really think I would prefer pulsed current! My favourite is Idromed 5 DC. You get very high quality, the price is high but doesn’t jump through the roof, and the results are satistying. Fischer Galvanic is also a top choice, especially if your insurance can help you with the cost, but I think that the prescription requirement is a flaw, because not everyone is eager to get hyperhidrosis permanently documented as their medical condition. I bought Idromed 5 DC 5 years ago and I’m so glad I got it because after the initial treatment (2 weeks i think?) I began to see the miracle and I can’t remember being so happy in my life before. I just want to recommend other fellow sufferers with excessive hand sweating to give that a try, it really helped me and I was moderate to severe before I started using it. Thanks for your comparison chart, Rohit. I have the Drionic hand unit. I feel it is the safest unit because it isolates each hand during treatment, unlike the Fischer. The latter uses the human body to complete the electric circuit! While I am sure that Fischer has done a lot of research to ensure safety, it unnerves me thinking that my body would be the one completing an electric circuit. That was my first thought when I first saw the video of the demonstrator putting the unit together. I’ve had two generations of the Drionic. The first one was a steady current that one could adjust for comfort. Because I wanted to run this unit as high as I ccould tolerate, I had to keep the treatment times to about 15 to 20 minutes. The 2nd generation worked by varying the current as a slow wave. It starts out slow and then builds up to a peak. At its peak, it lingers and feels like it is oscillating for several seconds, then the wave dies down. The cycle then repeats. On this unit, I can tolerate and run it for as long as 90 minutes for each hand. I’ve found that if I run each hand for a total of 2.5 to 3 hours each, my hand stop sweating in about 3 days or so. I make sure that I get my DVD player to watch a nice long movie during sessions. I also found that using cold water works best for me. In about 4 or 5 weeks, the sweating slowly starts again. If I start treatment right away, the treatment time is really short. If I wait too long, I have to use longer sessions. As you mentioned the batteries are verrrry expensive. The unit I have was modified with a 9V AC adapter. But because I DO NOT want to have my body completing an electric circuit, I treat only one hand at a time. Please understand, this is only my paranoia. 1. Just because you use one hand at a time does not mean that your body is not completing the circuit. All iontophoresis devices work the same – there is a current source, and the current passes through the body to complete the circuit. Its immaterial if you use one hand or two. If the current flows through your body, its completing the circuit. 3. Drionic works on batteries (which are expensive) rather than on main power – its probably a bit more comforting to know that you are not connected to the main power. I had a similar reaction the first time – but frankly, I do not know of a single instance when someone got a electric shock while using any of the reputed iontophoresis machines. When I use a Drionic on one hand, my hand is what completes an electric circuit. There is one plate for the fingers and the other plate for the palm. The finger-to-palm path is what completes an electric circuit, in this case. In the case of the Fischer, there is a left plate for the left hand and a right plate for the right hand. The electric circuit would be completed by my body! I’m guessing the left-hand-to-arm-to-torso-to-right-arm-to-right-hand would complete the circuit. This completion of the circuit through, what presumably is my heart, is what is unnerving to me. With the Drionic, an electric circuit is not completed in that way. Hence, I have never seen pace maker and weak heart warnings from them (although my Drionic units are old and instructions on new units may have that warning now). At any rate, I too have never heard of anyone getting an electric shock using any of these units, as you also mentioned. Once again, it’s just my paranoia. Ok. Hello all my dr has suggested this treatment but my issue is not hand or feet mines in armpits. So can these machines help with this? Is there a certain one that I would need to get? How safe is the homemade iontophoresis? Are there any major side effects in the long run? I’m worried if it is bad for the heart, etc. I do not have heart conditions. Hi. What was the effect? Can you give some reviews of the positive and negative side? What about the one from iontoderma? it provides free shipping worldwide too,and is ideal for a sufferer like me from malaysia. Any thoughts on the machine or any testimony?Drop a comment thx fam! Great point – yeah, I am aware of Iontoderma. Just never had chance to test it and nor do I know of anyone who has tried it. Care to write a review for HHN? Great comparison! I have Idromed, the direct one, and I would say that it is really effective! High price, high quality! 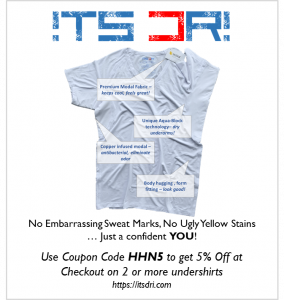 Great to hear – yeah, Idromed is our favorite too. Looks great, works great!